Junior Trevor Harrison leads the discussion during the walkout. About 40 students walked out of class and gathered in front of the PAC in order to show support for the Second Amendment today at 10 a.m. The walkout was advertised on social media, welcoming people who are pro-gun and in the middle. 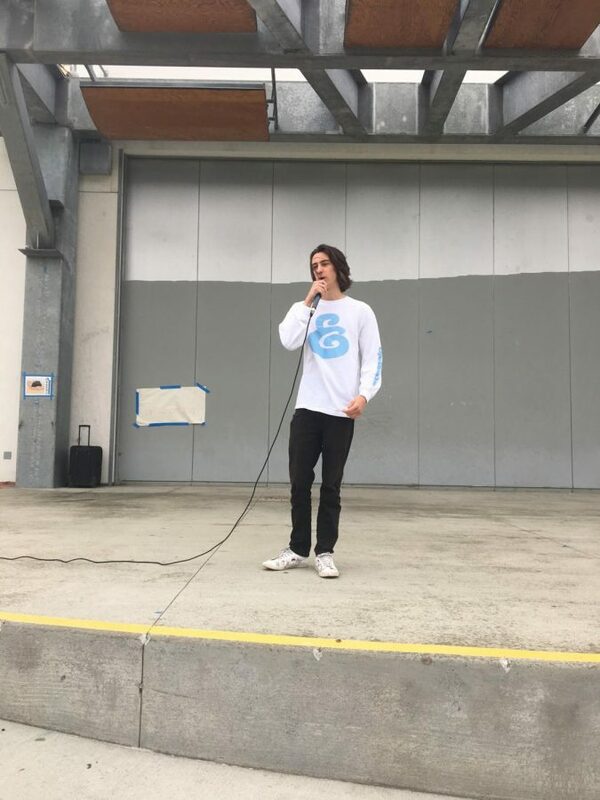 After taking the microphone, junior Trevor Harrison led the group and encouraged others to speak their minds. About 900 students participated in SDA’s part of the national walkout March 14 following the Parkland shooting. Other students said their families use firearms responsibly, and it is unfair to completely ban guns. However, many agreed when a speaker mentioned revising some laws around guns. Senior Sam Goldsmith said, “The part of the Second Amendment that is very important to me is the right to well-regulated militia.” He said he does not agree with the fact that our military acts based on the president’s whim. Though some of the attendees jeered at liberals, there were some who participated who are not necessarily conservative who sought insight and new perspective on the topic of guns, like sophomore Emma Townend. “I wouldn’t consider myself a conservative; however it was nice to hear another side of the argument, especially a minority’s view. Less than 3 percent of our school came. I did the math,” Townend said.